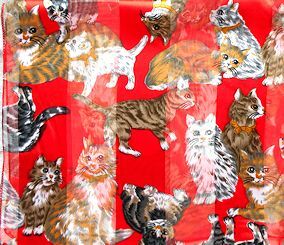 This lively red scarf features cats, cats, cats. Made of 100% polyester, the scarf is 20 inches square. The tone on tone effect of this material adds a shimmer to the appearance of this scarf.